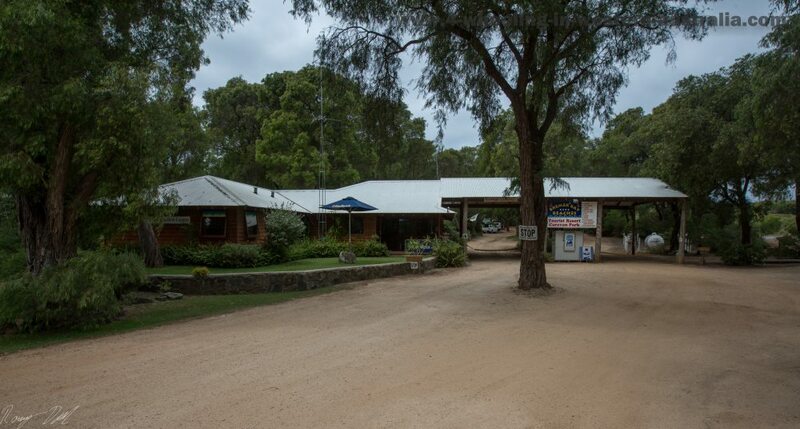 Nearest fuel: Bremer Bay at the Road house or General store. 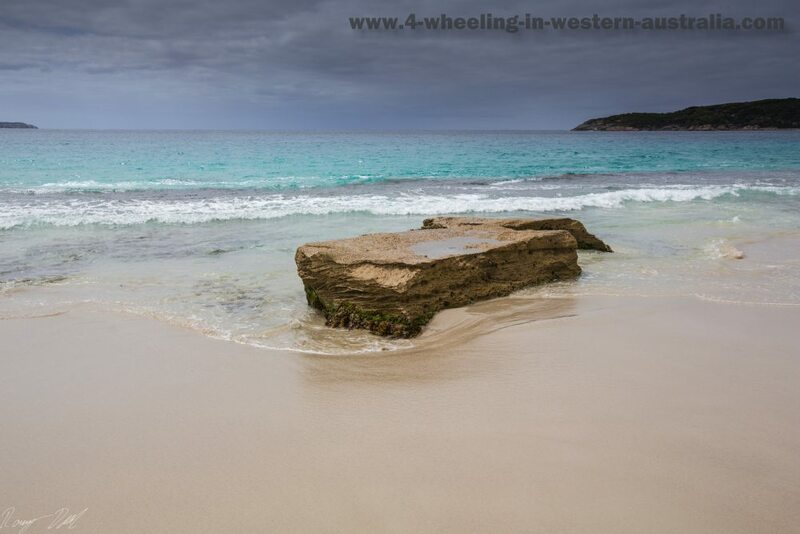 This place has got to be the home of turquoise color 4WD beaches! The beaches here have the cleanest and whitest sand I personally have ever seen. It is so clean, it sounds like snow when driving on it and it feels like talcum power between your toes, seriously! Other than awesome beaches there are red gravel dirt tracks, granite mountains/hills, lime stone cliffs, massive sand dunes and plenty of bush tracks to explore. This is a relaxed town with so many recreational locations, 4wding, fishing, boating, diving, snorkeling and beaching is the way of life here! 4WDers who visit here will be back for a second time for sure. Just North West of town is Fitzgerald River National Park which has plenty of places to explore; we didn't have time to explore this area (which is quite big) however we will be exploring it on our next visit. There are so many places to visit!! We met a fellow 4wder and his mate (Bryan and Dominic) at the Beaches caravan park, they joined us on this short trip (in Bryan's 105 series Land Cruiser), this was Bryan's 4th time in Bremer Bay and he had not visited Point Henry before, this alone should give you the idea of how many places there are to visit here! The cliffs and rock formations at Point Henry and the south of Bremer Bay Peninsula are quite breathtaking. The two main areas recommended to explore are Point Henry and the southern tip where there is a 15 m gap between the peninsula and Sparkling Island. The tracks are easy in difficulty, sand tracks with a few rocky areas (a psi of 18-24 is recommended). The peninsula area to explore is not huge; finding your way around is easy! All tracks peel off into dead ends with areas big enough for two vehicles to turn around. 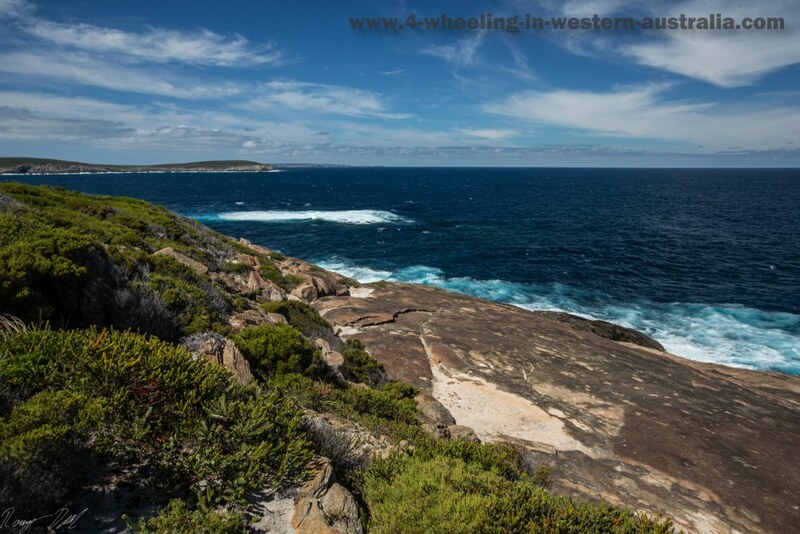 Like most of the Bremer Bay area it is only accessed by 4wd, so this means no safety rails and board walks along the cliffs. If bringing young kids out there be sure to hold onto them 100% of the time! Providing you are visiting during the warmer months there will be no lack of beaches to choose from, this has an added bonus as any coastline is nearly always windy. So if the beach is too windy on the eastern beaches simply drive to a western beach and vice versa. Most beaches here are shallow for a good 50-100 meters which is perfect for younger kids. The water is so clear that the sea floor is always visible even on overcast days, drop your sunglasses in the ocean and you will find easily them unlike most other beaches. See here for FULL details on each Beach and see the 3 Top beaches!! For GPS Waypoints In This Area See GPS Waypoints. Sightseeing various lookouts, towns windmill & checking out the endless choice of awesome beaches and rocky/cliffs coastline! General Track conditions and difficulty. Interior tracks are mainly gravel and rock with sand dunes cutting through here and there. Heading towards the coast line there is a lot of limestone hills which must be driven over, which means the fast sand tracks (30-50 kph) will suddenly turn into low range 1st or 2nd gear, make sure to allow for this when planning day trips. 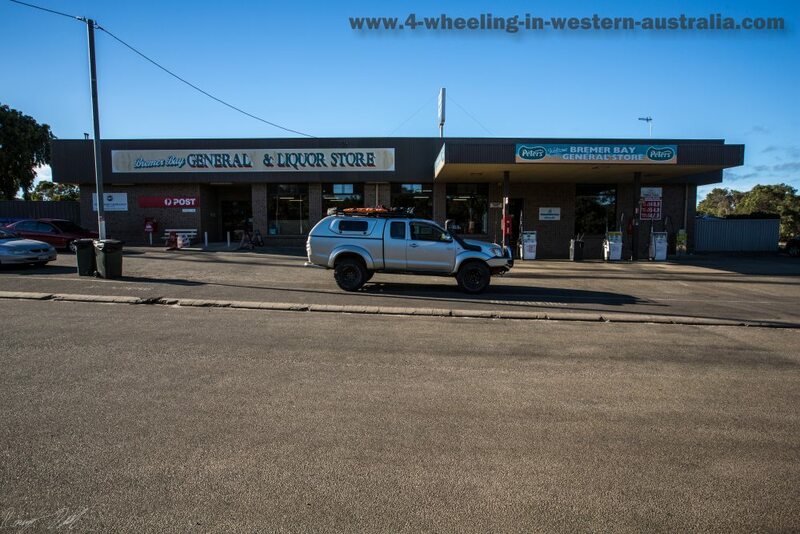 The beaches close to Bremer Bay (town area) can be driven with 36+ psi, however to avoid cutting up the beach and tracks REDUCE tire pressure to sand/beach levels (15-20psi). This will also keep you from ending up red faced as it’s only in parts the beaches are hard compacted sand. If a bogging does occur on the hard packed beaches (can happen easyly if the water starts to hit a stationary vehicle) and no one is around with recovery gear, then you're in big trouble. Keep in mind if visiting beaches more than 20 km from Bremer Bay as solo (one vehicle only) getting bogged could easily equal "loss of vehicle". Most beaches are flat so when the tide comes in, it really comes in. Recommended tyre psi is 16-20 for most beaches, this got my Hilux in and out of every track/beach with mud terrain tyres. 2 inch lift is recommended for about less than half of the tracks. For full details on each beach see the links for each beach! 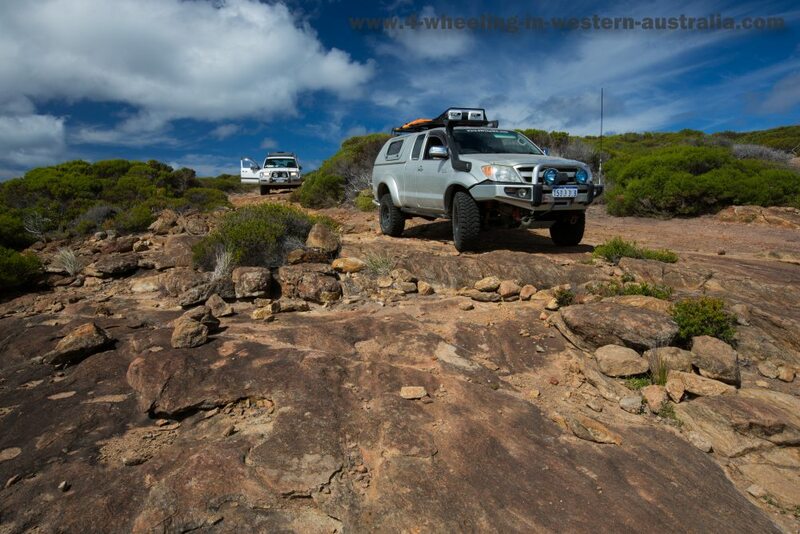 Leave Bremer Bay And Go 4 Wheeling In Western Australia.